Marcia J. Modd of Otsego, Michigan, passed away on Wednesday, May 29, 2013. Marcia was born on September 20, 1940 in Grand Rapids, MI to Leo and Verna Fischer. Marcia has been preceded in death by her husbands, Ralph MacEachron who died in 1984 and Tom Modd who died in 1987; son-in-law, Tim Counterman; granddaughter, Amy Lynn; sister, Betty Michaski and by her brother, Ron Fischer. Marcia is survived by her children; Michael (Shelia) MacEachron, Judith Counterman, Ronald MacEachron, Dennis (Sherri) MacEachron and Becky Stewart; step-children, Chris Modd and Lori Modd; 11 grandchildren; Mikey, Melissa, Laura, Philip, Meagan, Matt, Jessy, Denny, Gary, David, T. J. & Tami; several great-grandchildren; sisters, Shirley Kneivel and Linda Fischer and by her dog SandyKay. Cremation has taken place and a service of remembrance will be held Sunday, June 9, 2013 from 2-5pm at the Otsego VFW Hall. Matthew A. ‘Matt’ Artis, Sr. of Otsego, Michigan, passed away Monday, May 27, 2013. Matt was born February 12, 1970 in Plainwell to Larry and Mary (Dumas) Artis and was a lifelong resident of the area. He was a Christian and a member of Plainwell Assembly of God. He volunteered with St. Vincent DePaul Society and had also served as president of TOPS Michigan Chapter 610. Surviving are two sons, Matthew Alan Artis, Jr. and David Isaiah Artis, both of Otsego; his parents, Larry and Mary Artis of Otsego; brothers, William ‘Bill’ (Tammy) Artis and Michael (Tony Holewinski) Artis, both of Kalamazoo; a sister-in-law, Susan Artis of Kalamazoo; a niece and two nephews. He was preceded in death by a brother, John Artis in 2010; and by his grandparents. Memorial visitation will be held from 6 to 8 P.M. Friday, June 28, 2013 at the Plainwell Assembly of God, 202 S. Sherwood Ave., Plainwell, MI 49080 where memorial services will be held at 11:00 A.M. Saturday, June 29, 2013, with Pastor David Alderman officiating. Contributions in memory of Matt may be made to Plainwell Assembly of God, 202 S. Sherwood Ave., Plainwell, MI 49080, or St. Vincent DePaul Society, c/o St. Margaret Church, 766 S. Farmer St., Otsego, MI 49078. Richard Henry ‘Hank’ Collick, Sr. of Kalamazoo, Michigan, went to be with his Lord and Savior Sunday, May 19, 2013 in Kalamazoo. Hank was born July 9, 1927 in Allegan to Thomas John II and Rose (Hawkins) Collick . 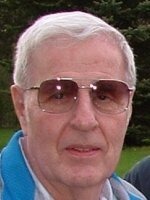 Hank had worked for Al Schanz Plumbing and Heating in Kalamazoo and served in the US Army in Korea. He was a loving and caring man who devoted his life to his family. Surviving are his wife, Betty, to whom he was married for 62 years; and his children, Pamela of Portage, Cindy (Glen) of Washington State, Richard Jr.(Mandy) of Kalamazoo, Diana of Kalamazoo, Deb (Steve) of Plainwell and Lisa of Plainwell; 8 grandchildren, Michelle, Scott (Courtney), Bryon (Jennifer), Greg (Tabitha), Jessica, Branden, Ryan and Blake; 13 great-grandchildren; Devin, Kaylee, Sarah, Kimberley, Andrew, Hunter, Maygen, Trent, Conner, Chase, Alessandra, Luciana, and Kylee; 4 sisters, Francis, Marie, Betty and Peggy; several nieces and nephews. He was preceded in death by 3 brothers, Thomas John III, Edward and William; and 2 sisters, Doreen and May. Friends may meet with the family Friday, May 24, 2013, from 1 to 2 P.M. at the Winkel Funeral Home, Otsego, where services will be held at 2:00 P.M., Pastor Will Davis officiating. Burial will follow at Mountain Home Cemetery, Otsego with Military Honors by Otsego V.F.W. Post #3030 and the Michigan National Guard. Donations in Hank’s memory may be made to Berean Baptist Church, Portage. Sharon Mahaney of Plainwell passed away Saturday, May 11, 2013 in Kalamazoo. Sharon was born August 31, 1944 in Battle Creek to Howard & Dorothy (Tungate) Mahaney. Surviving are a daughter Christina Slezak and a granddaughter Kimberly Slezak of Martin and a brother, Steve (Nancy) Mahaney of Battle Creek. Mass of Christian Burial will be celebrated at 11:00 A.M. Thursday, May 16, 2013 at St. Margaret’s Catholic Church, Otsego, Rev. Fr. Gordon Greene celebrant. Burial at St. Margaret’s Cemetery will take place at a later time. Marylou Holdeman of Kalamazoo, Michigan passed away Friday, May 10, 2013. She was born April 7, 1932 in Albion, IN to Ray and Fern Enos. Marylou was married to Verne Holdeman and together they have seven children. Marylou enjoyed ceramics, following NASCAR and spending time with her family. Surviving are her children, Joe (Marcia) Holdeman, Bill (Therese) Holdeman, Sandy (Dave) Hughes, Sharon (Ken) Faulkenstein, Debbie Moats and Chris Holdeman; 19 grandchildren and many great-grandchildren; 2 brothers, Perry Enos and Ike Enos; and many nieces, nephews and cousins. She was preceded in death by a daughter, Barb Croy, a sister, Katherine Preston and her father. Friends may visit with Mary’s family from 5 to 7 P.M. Wednesday, May 15, 2013, at the Winkel Funeral Home, Otsego. Cremation will follow. 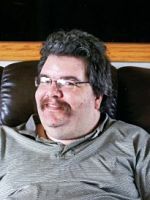 Thomas ‘Tom’ Janes of Plainwell passed away Friday, May 10, 2013 in Kalamazoo. Tom was born August 1, 1938 in Kalamazoo to Charles and Hazel (Geal) Janes. He started his working career at Warren Barber Boat and Motor and had worked at Cloverleaf RV, Gull Lake Marina and other area pleasure craft dealers. Over the years Tom had worked as a photographer, mechanic, in sales, as a service manager and most recently working as a broker for 1st Choice Homes. 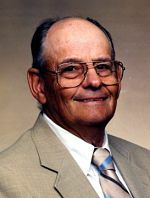 Tom had served Gun Plain Township in many ways over the years; he had served on the Planning Commission, as Constable and as the Township Supervisor. He took pride in the work he did for his local government and he was happy to serve the community he lived in. In his leisure time Tom loved his garden tractor, plowing snow and mowing grass. Surviving are his wife, Helen and 2 sons, Rodney Gene Janes of Plainwell and Dennis Lee (fiancée Amy Schimp) Janes; granddaughters, Michelle Janes and Abigail Janes; great granddaughter, Grace Janes; a brother, Richard (Joyce) Janes of Louisiana and a step brother, James (Joyce) Kershaw; numerous nieces, nephews, cousins and extended family. He was preceded in death by his parents, Charles Janes and Hazel Kershaw; stepfather, Carl Kershaw and a sister Sandy Janes. Cremation has taken place and a memorial will be held on Saturday, May 18, 2013 from noon to 3:00 P.M. at the Gun Plain Township Hall, 381 8th Street, Plainwell. Donations in Tom’s memory may be made to the Arthritis Foundation, West Michigan Region, 3737 Lake Eastbrook Blvd. SE, Ste. 217, Grand Rapids, MI 49546. Thomas A. Riggs of Cooper Twp., Michigan, passed away Thursday, May 9, 2013 in Kalamazoo. Mr. Riggs was born March 20, 1945 in Detroit to Leon and Cathryn (Huey) Riggs. He had been employed with Eaton Corporation and retired from Plainwell Public Schools after many years of service. Tom loved farming, hunting, boating and camping. 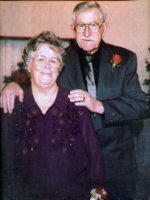 On June 18, 1966 in Portage he married Shirley Briggs, who survives. Also surviving are two daughters and a son, Marcia Riggs of Plainwell, Corie Riggs of Niles and Glen Riggs of Kalamazoo; a brother, Doug (Mary Ellen) Riggs of Plainwell. Cremation has taken place. A Memorial Service will be held at 11:00 A.M. on Saturday May 18, 2013 at Oak Grove Bible Church, 7655 Ravine Rd., Kalamazoo, Michigan, Pastor David Ives officiating. Private burial of ashes will be at West Cooper Cemetery. Contributions in memory of Tom may be made to SPCA of SW Michigan – Rescue and Adoption Center, 6955 West KL Avenue, Kalamazoo, MI 49009. 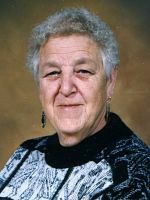 Edith Ilene (Werner) Chapman of Plainwell, Michigan, passed from this life in her home surrounded by her loved ones on May 3, 2013. She was born in Allegan on November 15, 1931, to George Sr. and Laura Werner. She lived for the times she could be with her family, enjoyed cooking large meals and having us all around the table to share our love and her fabulous food. She loved playing bingo and taking trips to the casino. Edith was preceded in death by her parents, her sister Mary (Robert) Wiley, and her granddaughter Laura Luepkes. She is survived by her husband of 58 years, James, her daughter Janice (James) Dyer, son Martin Chapman, grandchildren Amber Smith, Amanda Wright, Travis Chapman and James Dyer II, great-grandchildren, Christopher, Martin, Nicholas, Hunter and Nevaeh. Also surviving are brothers and sisters, Ruth Jones, George Werner Jr., Sandra Culver and Gary Werner. Cremation has taken place and no memorial is planned at this time. Her wish was that any memorial contributions be made to Wings of Hope Hospice, Allegan, Michigan for the loving care they provided to her during her last days.